students and have experienced tremendous growth in our After School Mandarin Language Primary School Classes (5-12 years) nation-wide. Since Term 3, 2018, After-School Mandarin Language Club is available at Booragoon Primary School on Monday from 3.00pm to 4.00pm at Kindy room 2. 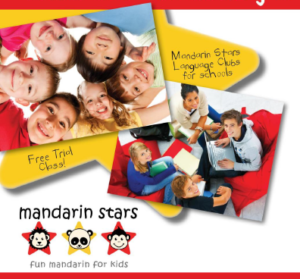 One of the most important learning outcomes in Mandarin Stars is to make sure that children are experiencing the rewarding and pleasant experience with us thus inspiring a life long love for learning Mandarin! We have small group sizes and a high teacher to student ratio (maximum 8 students to 1 teacher) to ensure individual attention.